Custom Umbrellas Designed By You. Printed Umbrellas, Handmade. Turn a rainy day into a rainbow day with your own custom umbrella. Printed umbrellas are a wonderful way to showcase your style, even when it is pouring outside. Expertly crafted by our skilled technicians, this handmade umbrella will keep you dry and chic. Featuring 8 printable panels, 2 sizes, a wind and waterproof canopy and your choice of handles and opening. These unique and high quality umbrellas benefit from a sliding cup on the handle that is loose and slides up to cover the end tips when the umbrella is closed, and releases them for opening. Face the rain with a beautifully made accessory; your new umbrella is an iconic accessory made just for you. Umbrella printing is something we do best, so when you design your own umbrella, you can be sure that you will be receiving a brolly made with the utmost care and attention to detail. Choose from crook handle in black or natural. Your new custom umbrella has a generous canopy that will keep pesky rain showers at bay. 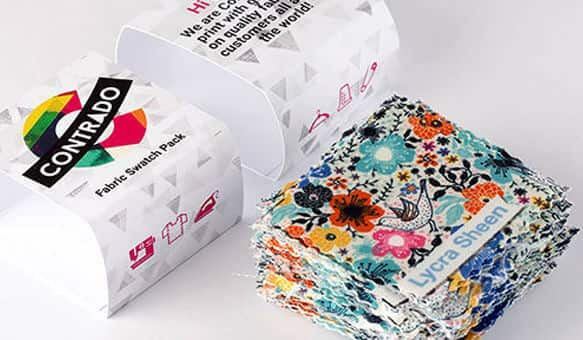 With 8 printable panels made from our durable and resilient Linden waterproof fabric, your designs will look vibrant and stylish for years to come. Choose from 2 equally stylish umbrellas, with different handle options. Umbrella printing takes place at the Contrado studio. Every order is handmade by expert artisans. The large canopy has 8 printable panels, each of which can be individually designed, making your custom umbrella one of a kind. Your designs are printed onto Linden waterproof fabric, which is renowned for its superior print quality and its water resilient nature. Lightweight yet tough, it makes the perfect canopy fabric for printed umbrellas. 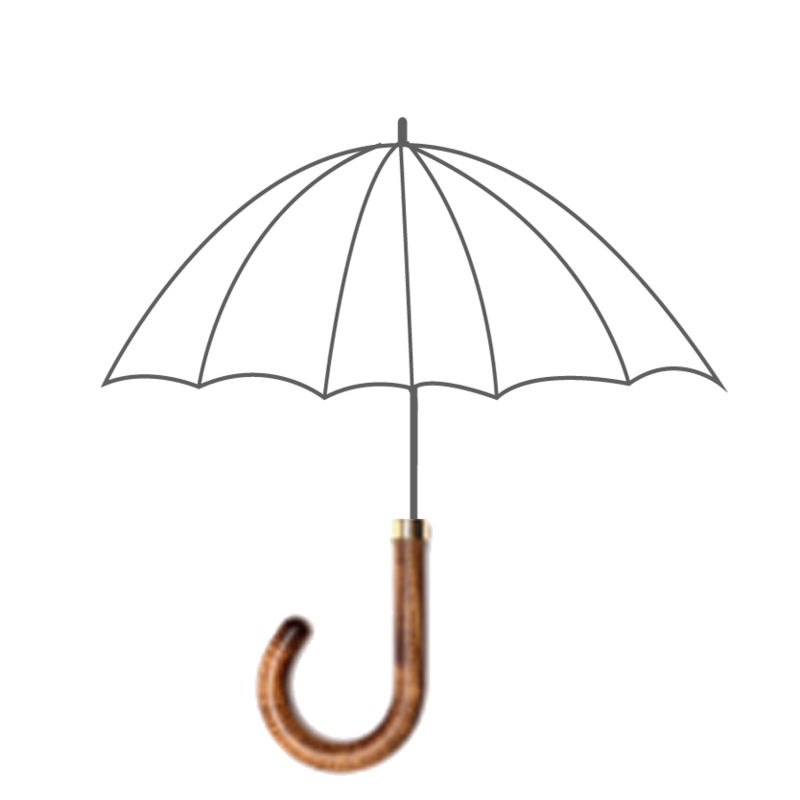 The metal frame of your umbrella has been made with supreme skill, and the sleek opening and collapse mechanisms are strong and sturdy, making them ideal for wet and windy weather. Each panel is individually printed using our specialist digital process, before it is hand cut and stitched together. We finish the spokes of the frame with black or silver nickel tips. These not only add a classy finishing touch, but they also protect from the sharp edges. To clean your umbrella, simply brush off hardened dirt, or shake it off when wet. As the canopy is made from a water-repellent fabric, it is self-cleaning. The non-aluminium sections off the umbrella is non-corrosive, so you don't have to worry about them rusting over time. You can have a lot of fun with umbrella printing. 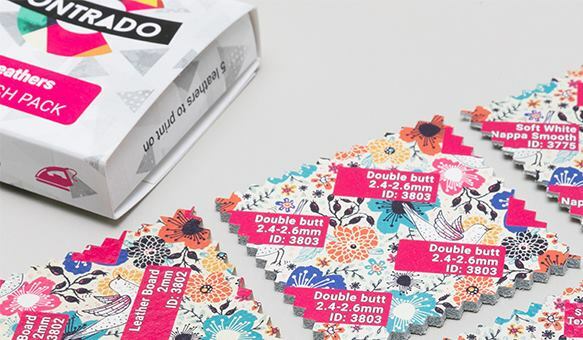 Our design interface gives you 8 individual panels to print on, allowing you to create a continuous pattern all the way around the umbrella, or a different design per panel. There are 2 different styles of umbrella to choose from; the Golf has a straight maple handle with an automatic opening. This style is perfect for more contemporary designs. 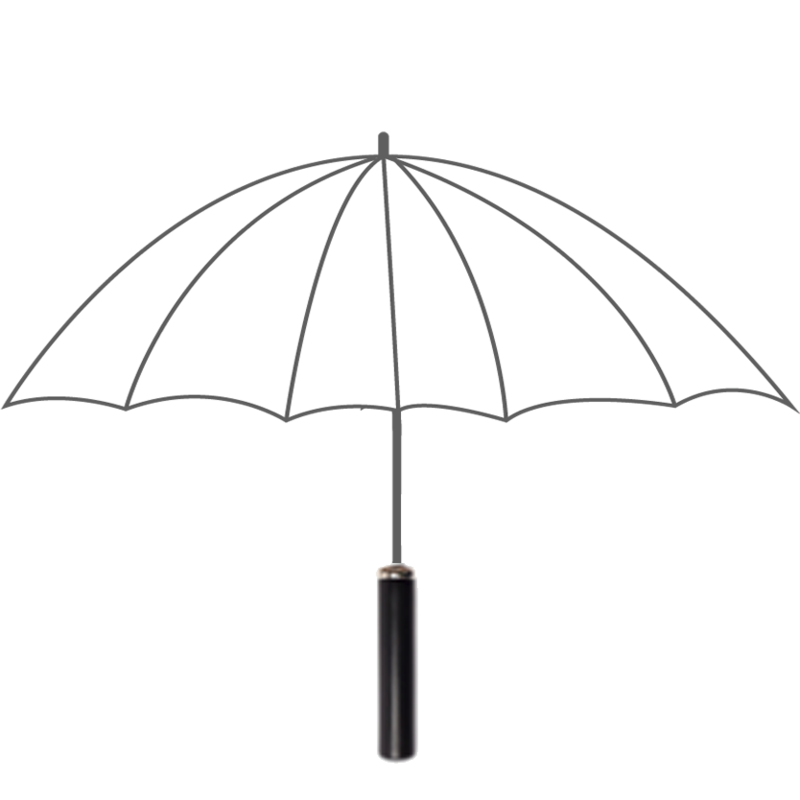 The City Auto umbrella has a manual opening and a crook handle in your choice of black or natural. We recommend selecting this option if your design is more traditional, or if you want to evoke an aesthetic from a bygone era. Keep yourself free from drizzle with your own bespoke umbrella. Flimsy, pocket sized umbrellas might be suitable for a light shower, but when the rain pours down, you want the protection of a large canopy and a sturdy structure. Design your own custom umbrella and create something that will show off your personal style, even in the darkness of a thunderstorm. 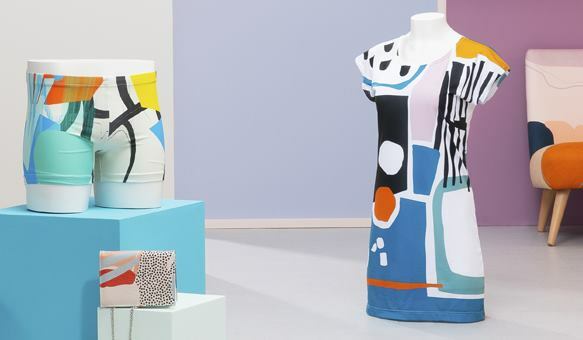 Opt for original artwork, typography or unusual patterns to make yours stand out. If you run a luxury hotel or B&B, then you will know that it is all about those little special added extras. Small details can make all the difference to your customers, and can be a sure fire way to entice them to stay with you again. Why not design your own umbrellas with your hotel name or logo included in the design? Leave an umbrella in each bedroom, and some in the lobby, so guests can enjoy a walk in the grounds, whatever the weather. Expand your product catalogue by creating a range of custom umbrellas with your original artwork. Our luxurious, handmade umbrellas make the perfect accessory for any collection. A universally useful product, made all the better with our expert craftsmanship and your designs. They make a unique supplementary product to include alongside coats, jackets and any other outerwear - even bags. Your customers can enjoy matching their accessories with their fashion. What are the differences in styles? The City Auto style is slightly smaller (89cm x 102cm) than the Golf (98cm x 136cm). They are both made from the same material, but the City Auto has 2 crook handle options, in black and natural, and it has a manual opening with a top lock. The Golf has straight black maple handle and an automatic opening. Your new custom umbrella is completely water repellent. Made from our touch and durable Linden waterproof fabric, your umbrella is resistant to water, so raindrops simply rolls off of the material. Our expert stitching ensures no drops will work their way through the seams of the fabric. How many areas can I customise? Your new umbrella is unlike anything you have seen before. Taking customisation to a new level, our unique design interface allows you to print on all 8 of the umbrella's panels. This means your designs or artwork will cover the whole of the umbrella, creating a completely bespoke piece. These stunning umbrella designs from our #ContradoCreative artists are the perfect way to keep you dry and stylish on a rainy day.